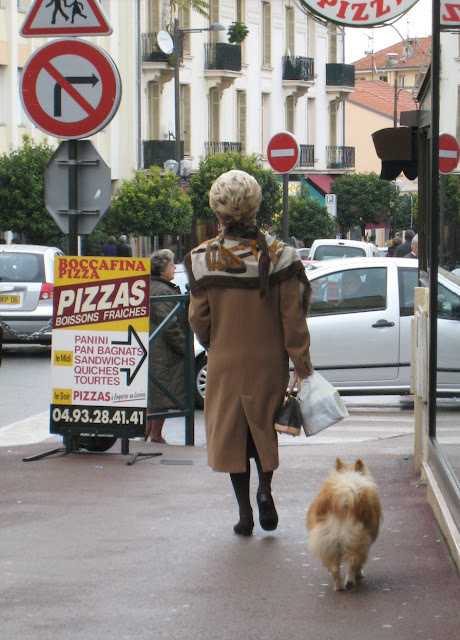 RIVIERA DOGS: Monsieur Spitz One-Ear? Not a nice morning in Carnoles - a suburb of Roquebrune-cap-Martin. 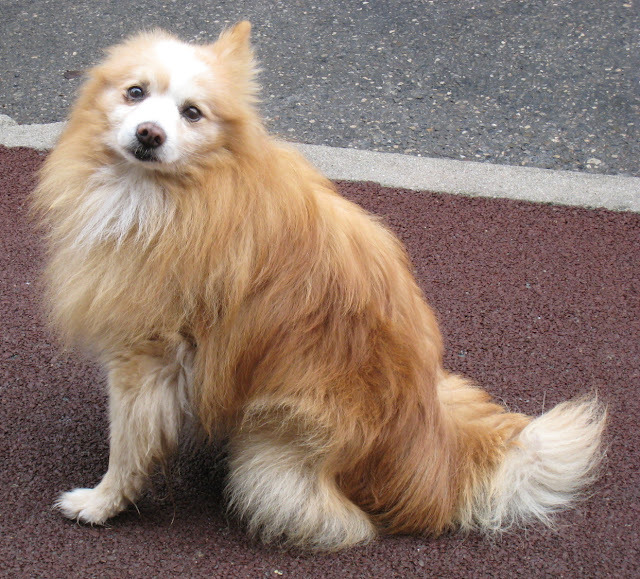 I noticed this cute and very independent little Spitz following his owner. I took about four photos following them - he, always off lead, even when crossing the road. They walked fast and I didn't think I'd get to take his photo. Suddenly Madame stopped and greeted a friend and from then on, quite oblivious to me, I could photograph this little boy. I don't know his name - I didn't like to interrupt their conversation - but I know he's a boy. And yes, as you see, he does have two ears! Maybe he closes his ears when he doesn't like what you are saying. "I'm not deaf! I'm just ignoring you." I think he has to do what he is told. Madam looks formidable! He's as perfectly coiffed as she is! :) Look at her hair! Not a strand out of place, just like his.